Can I remove a work provider? I have been overcharged. How do I get a refund? Why has my insurance been declined by UberEATs? How do I link/add my work provider? What is an Invite Code and what does it do? 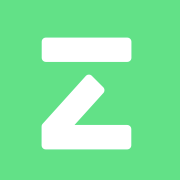 Please make sure that you are using the newest version on the Zego app. You can do this by going to your App Store and either updating your current app or reinstalling the app. Please then try logging in to your account again. If you can not see any improvement please call 020 3308 9800. I selected the wrong type of cover - what do I do?